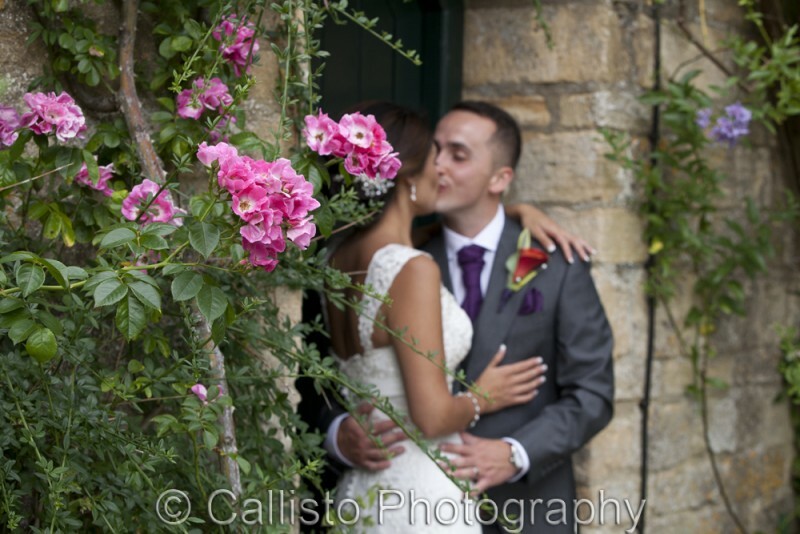 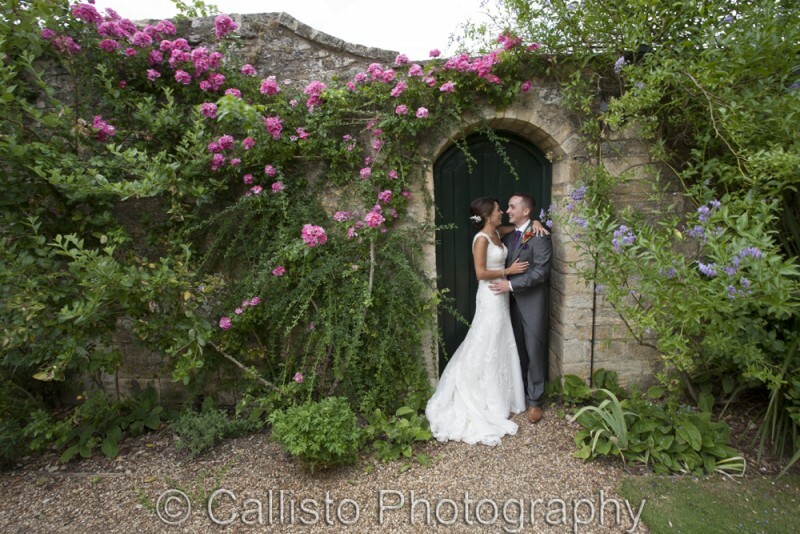 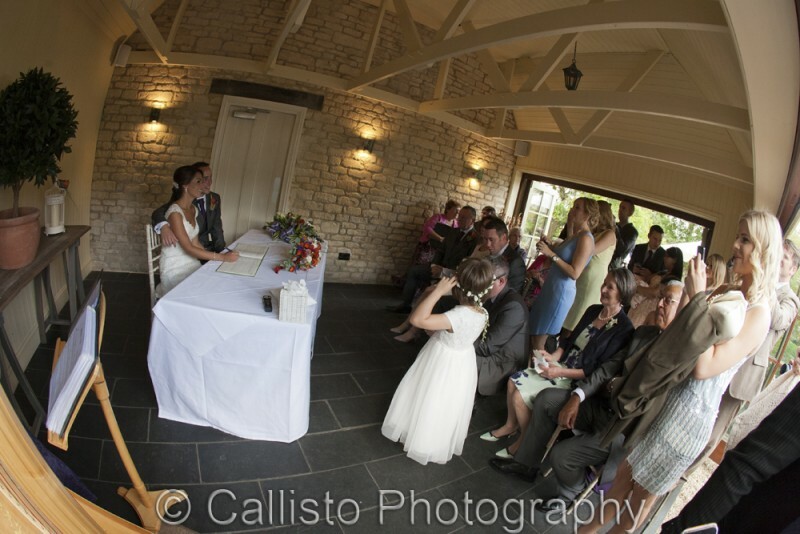 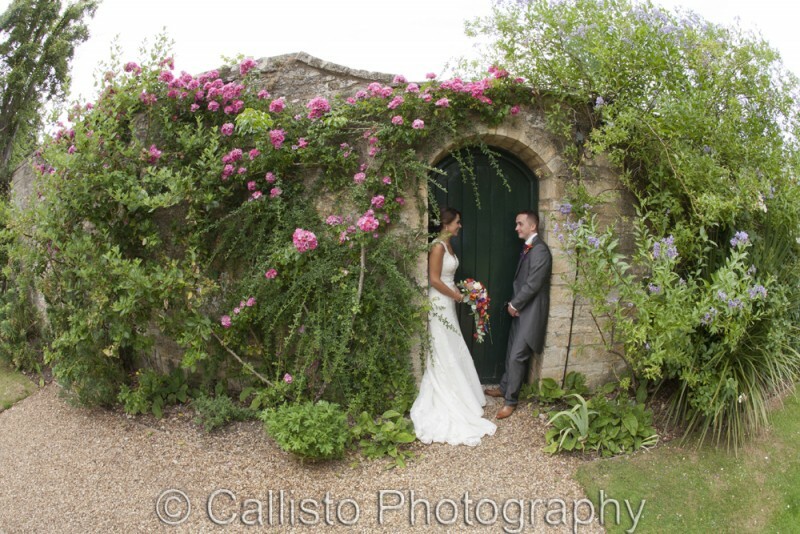 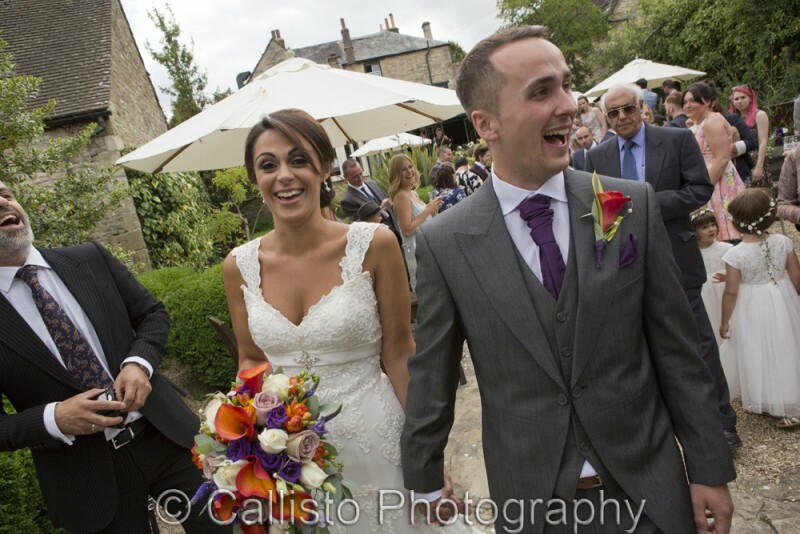 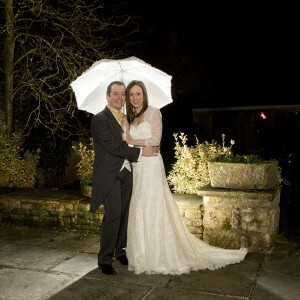 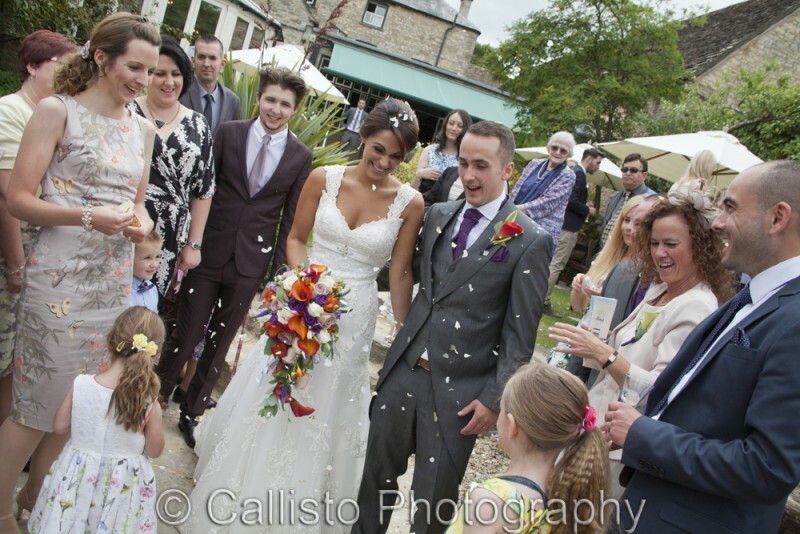 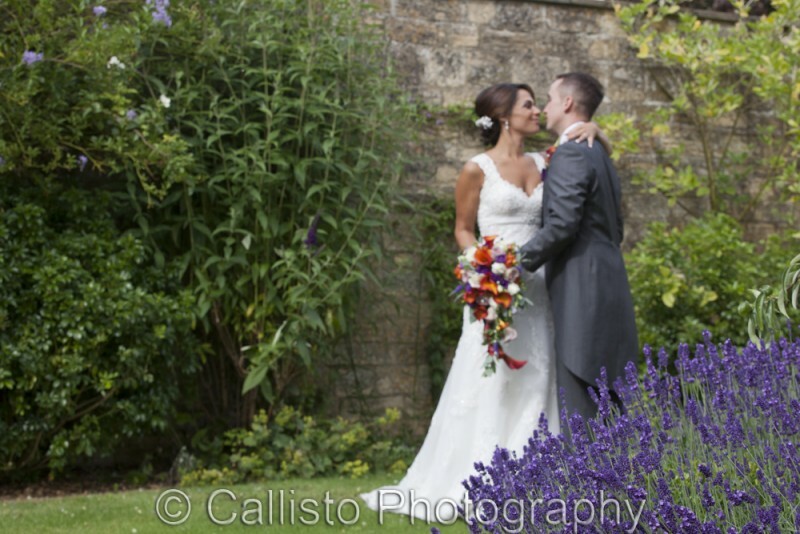 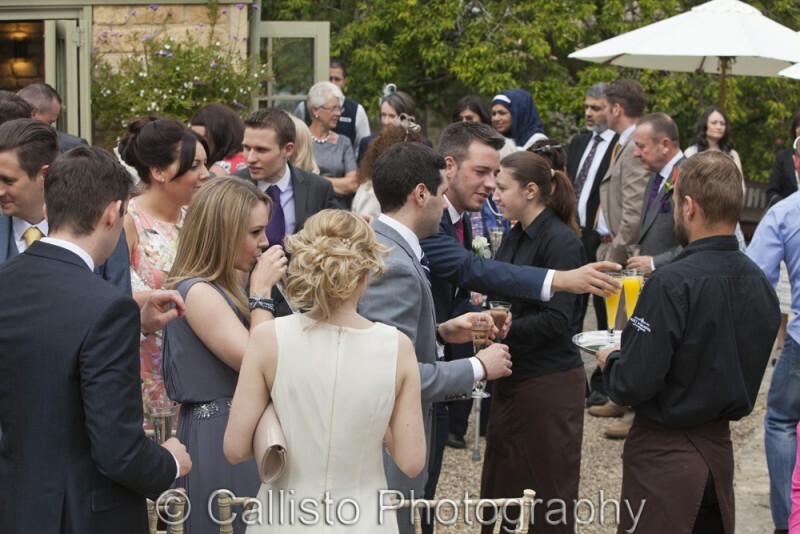 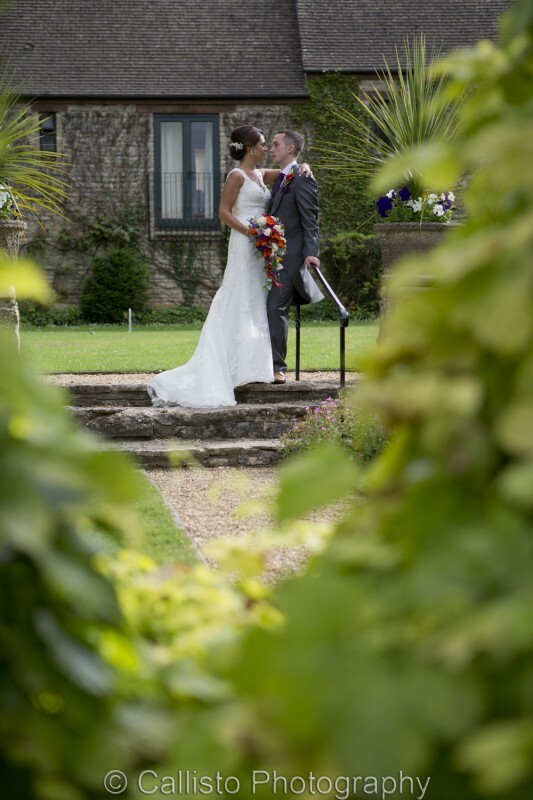 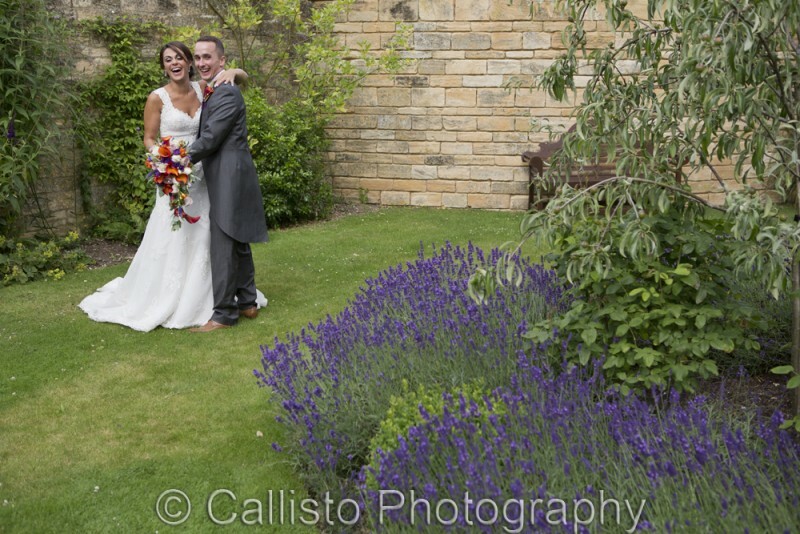 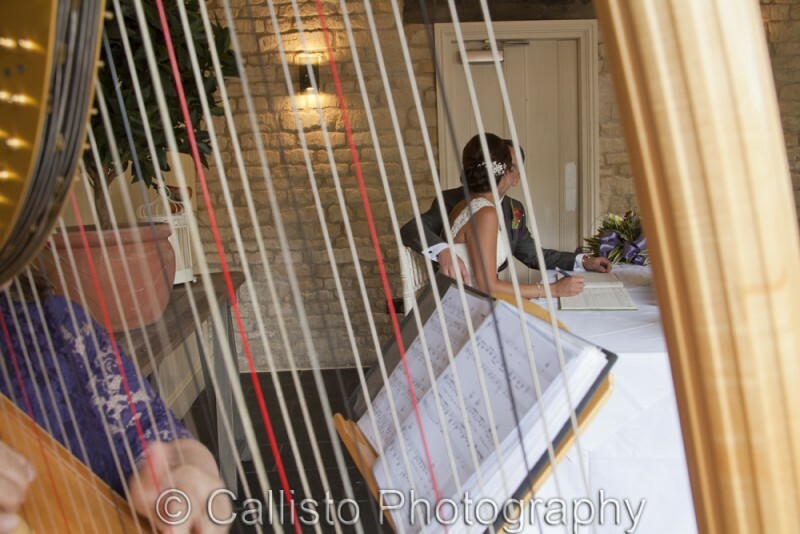 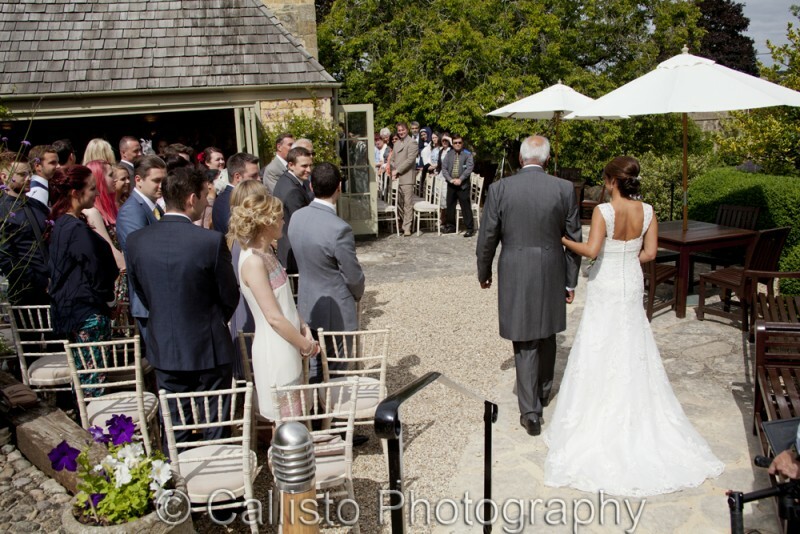 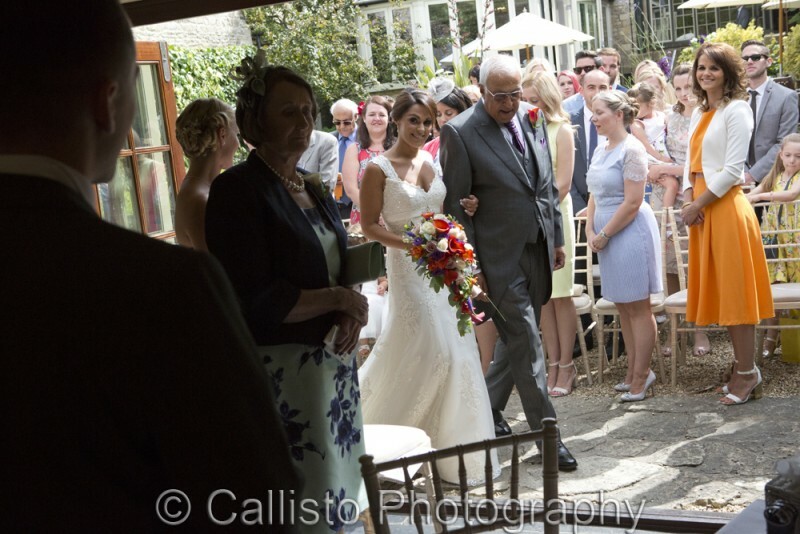 Bay Tree Burford Wedding Photography. 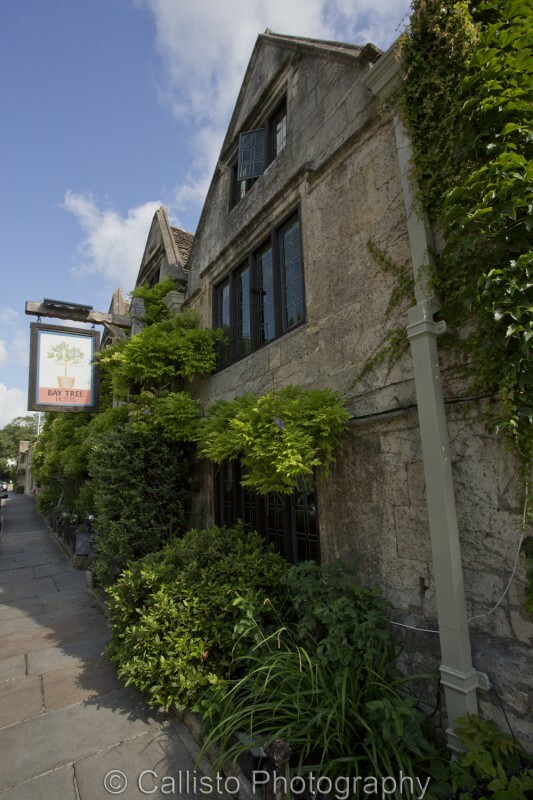 We returned to The Bay Tree in Burford for the umpteenth time, the only difference now being that the hotel had had a ‘makeover’, we love the new dining room décor. 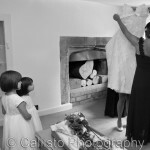 Zara and her bridal party were getting ready upstairs so I headed up there whilst Chris went to find the groom and his party. 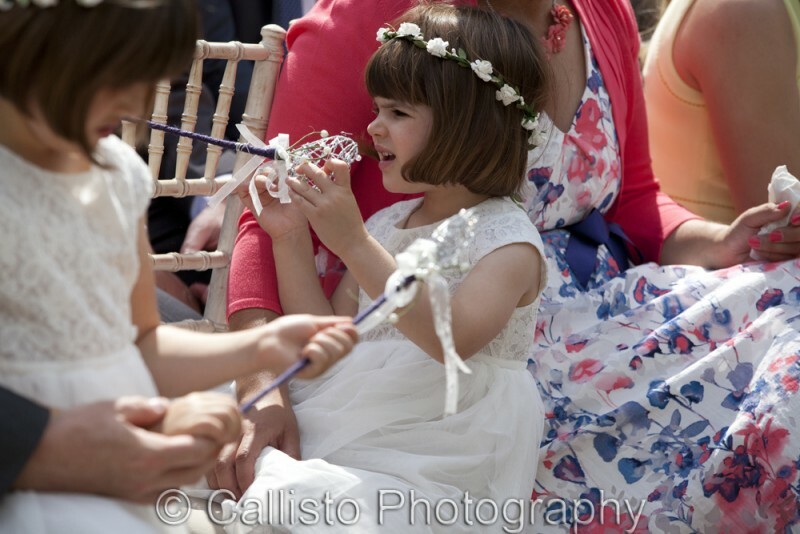 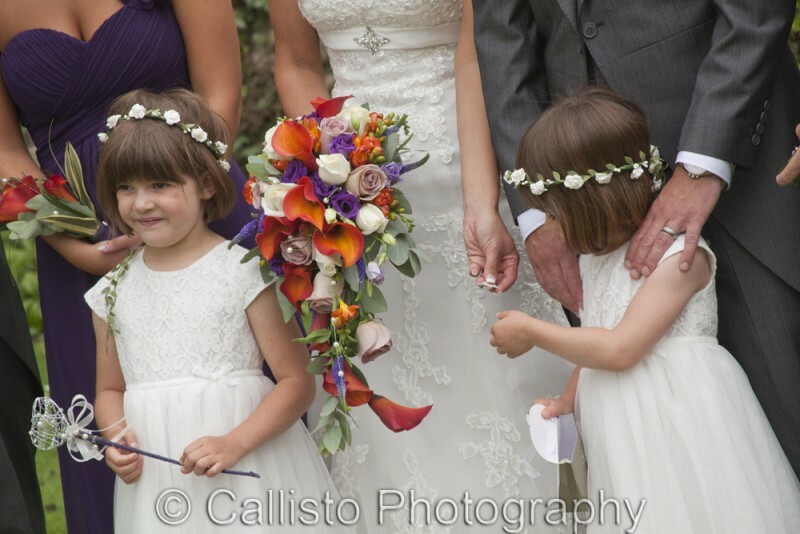 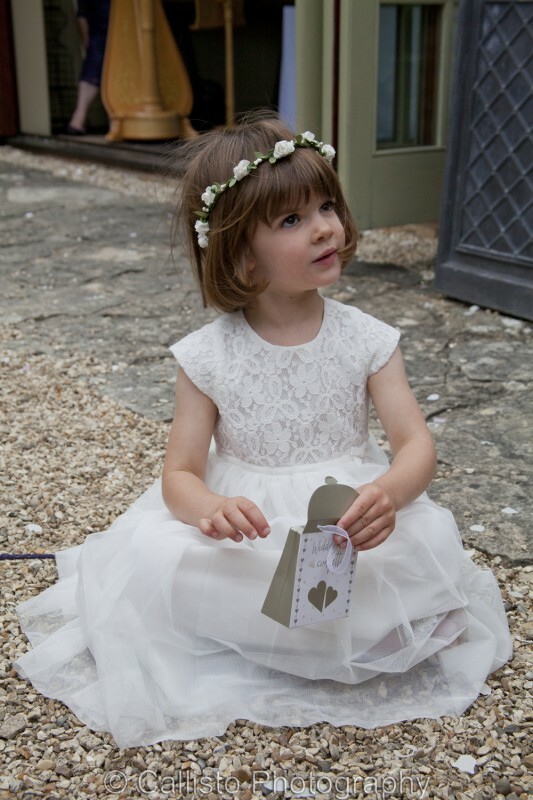 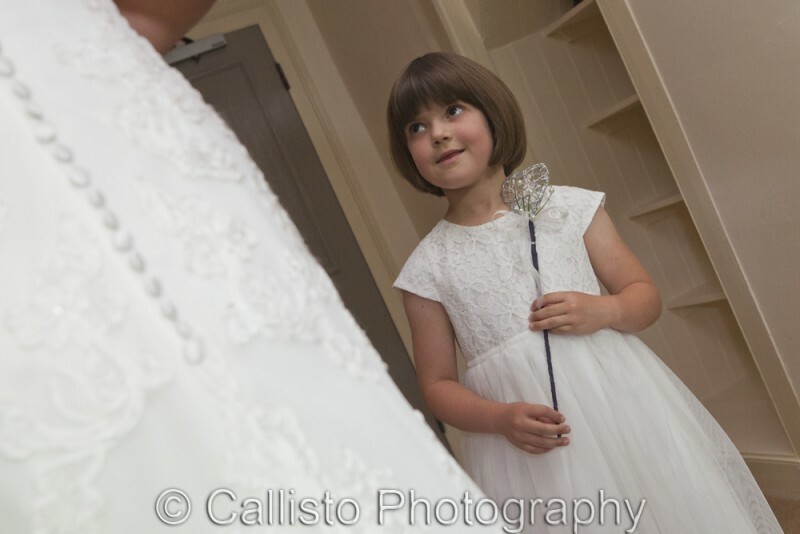 It was lovely to see the two flowergirls, Poppy & Tilly spellbound by the bridal gown, the expressions on their faces just said ‘a real princess’ dress. 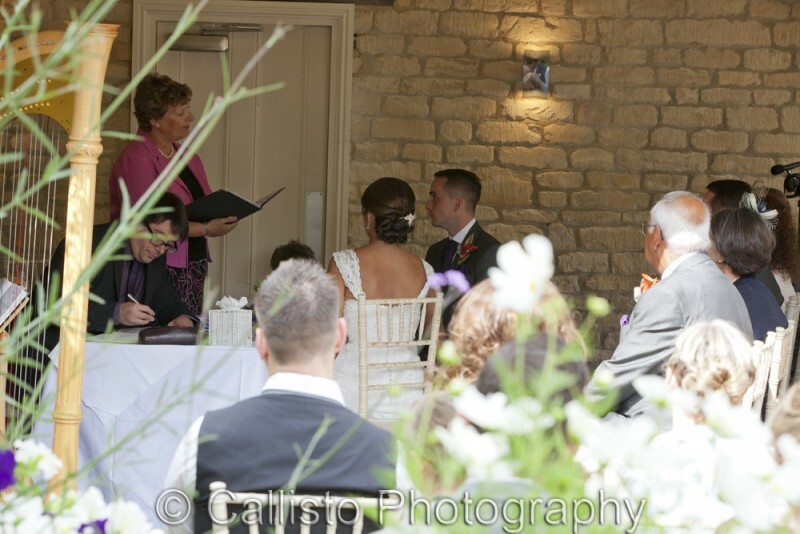 Zara & Leigh had been hoping for an outdoor civil ceremony and their wishes were granted with blue sky and gorgeous weather. 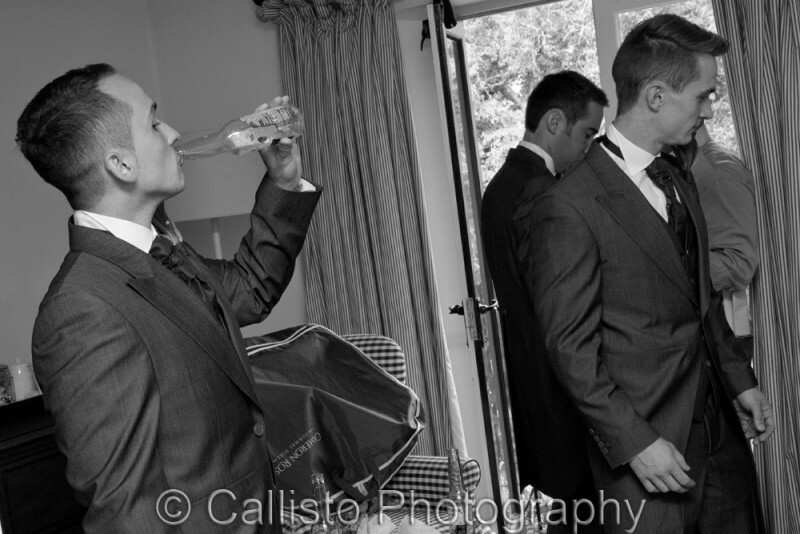 With so much confetti on hand, a lot of it landed in the champagne, nevermind, just fish it out and carry on drinking! 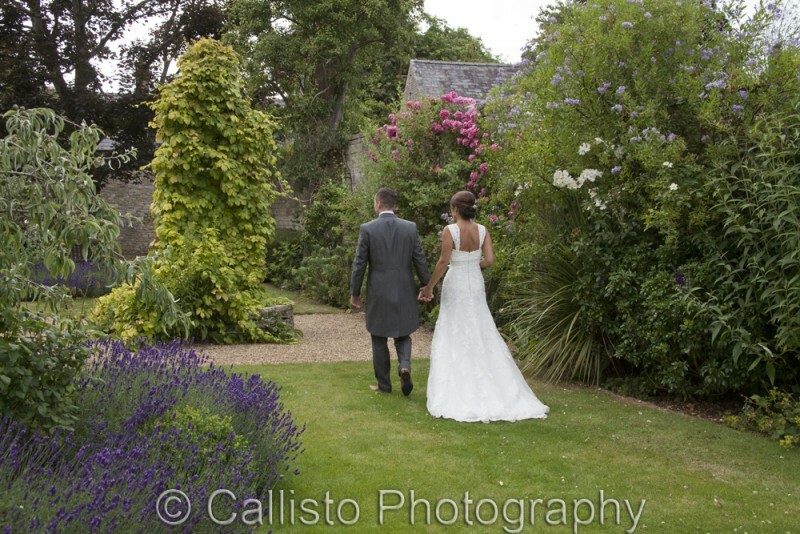 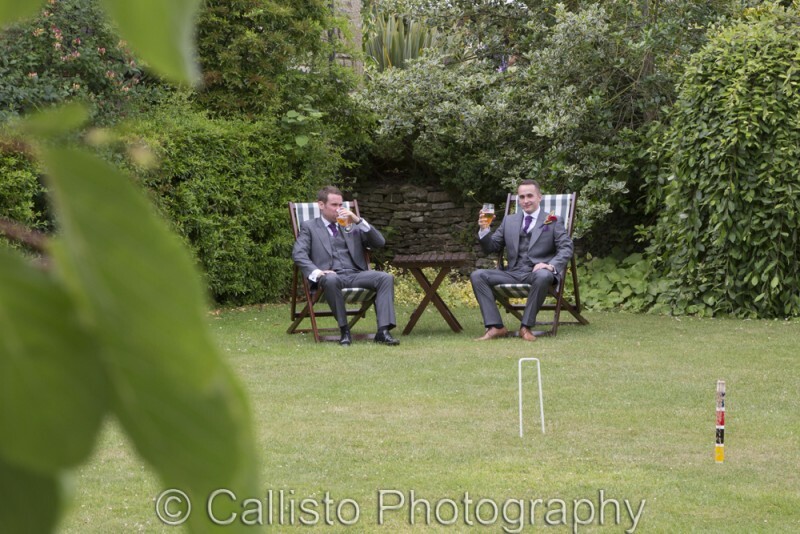 There was plenty of time in the beautiful gardens for photos, so we just let Zara & Leigh have some time on their own to allow us to capture those special moments alone. 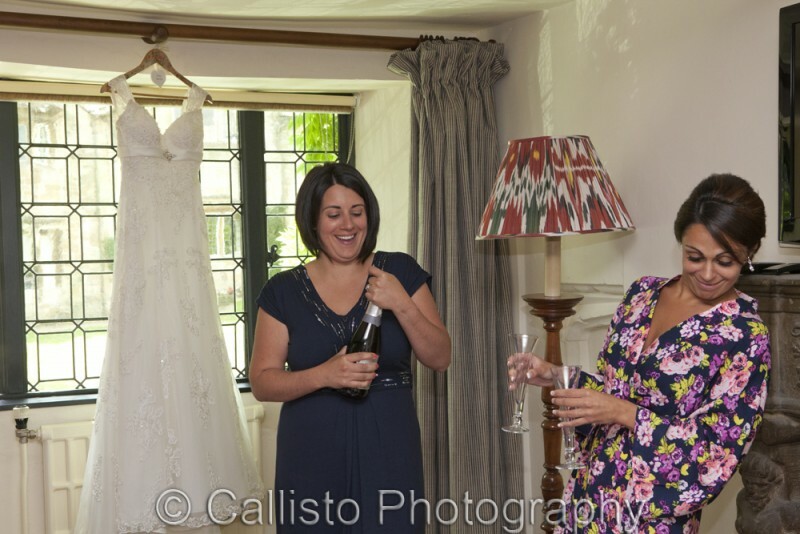 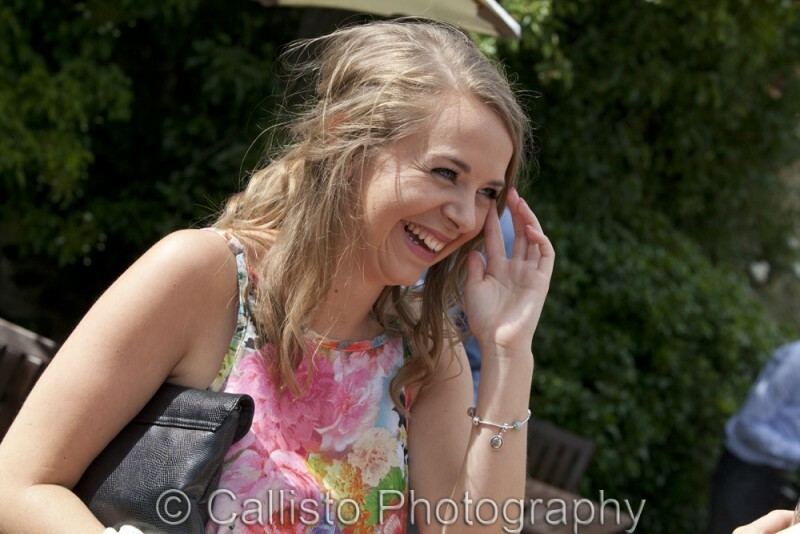 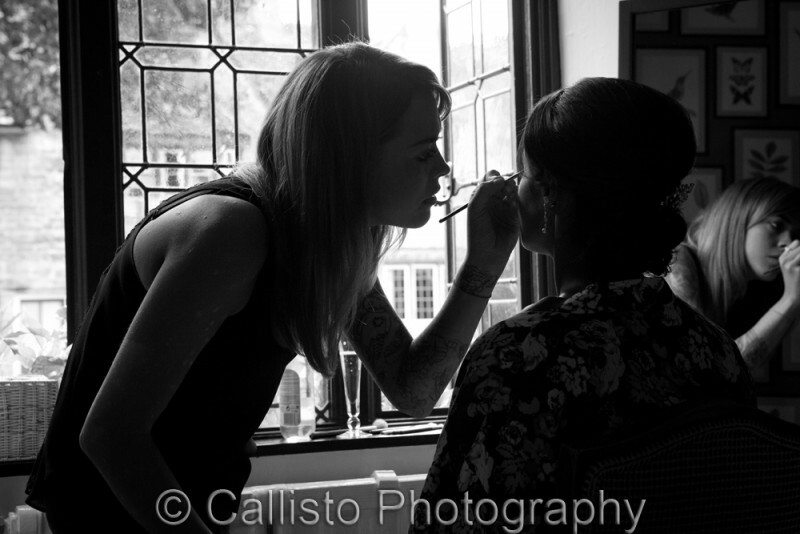 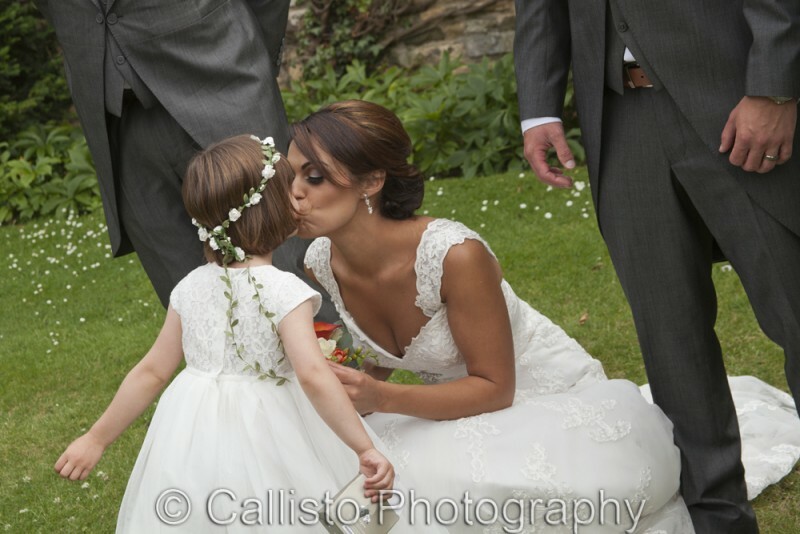 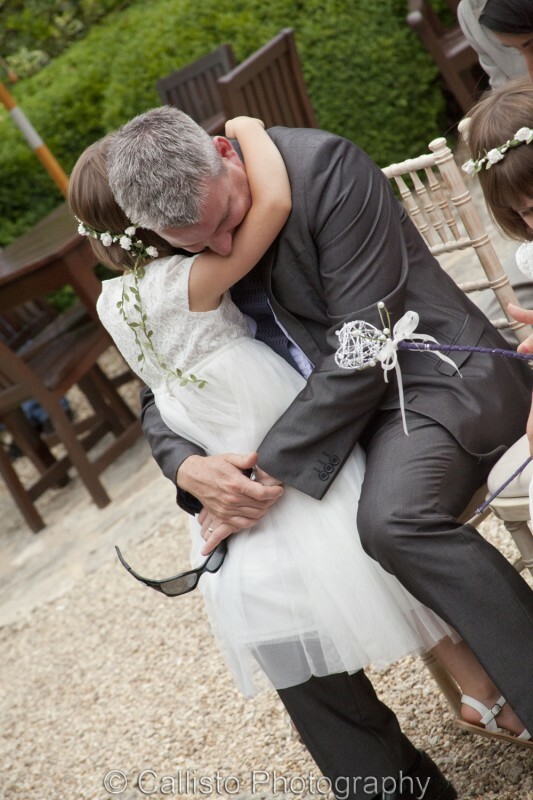 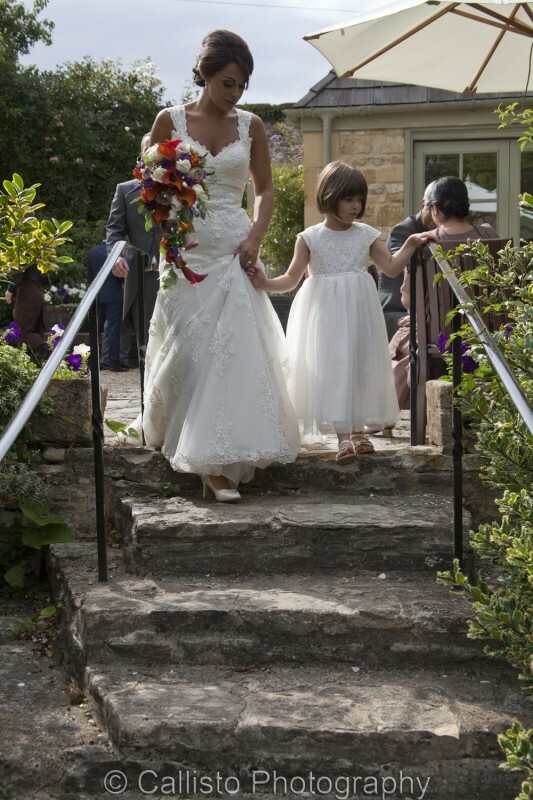 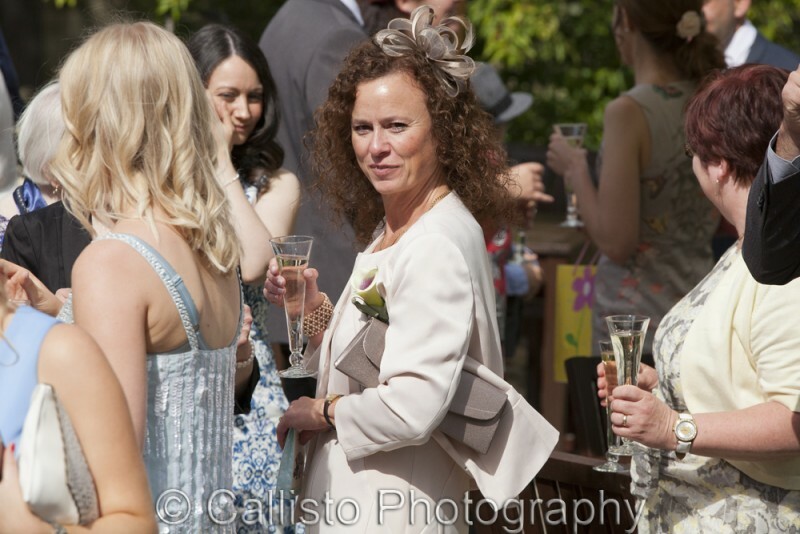 I particularly love the shot of Zara looking over Leigh’s shoulder as they hugged; a beautiful bride. 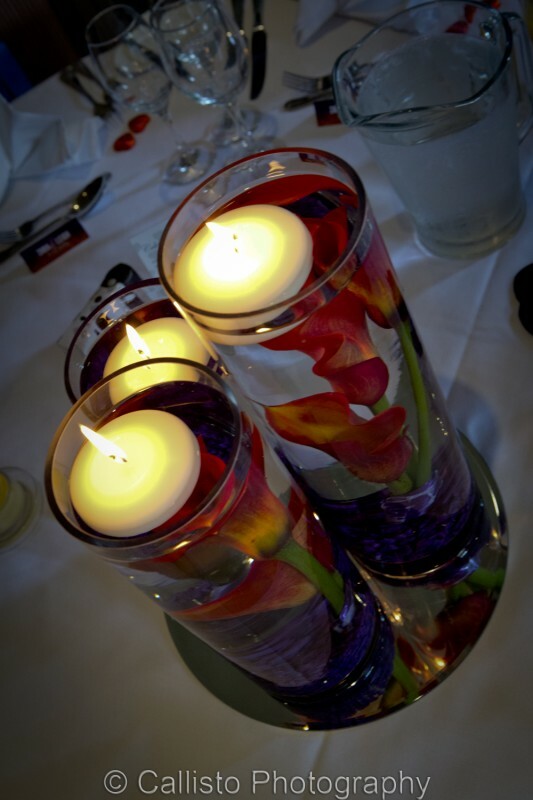 Their colour scheme was purple and orange and it was lovely to see table decorations of orange Calla Lilies immersed in vases of water illuminated by floating candles, very unsual and it worked perfectly. 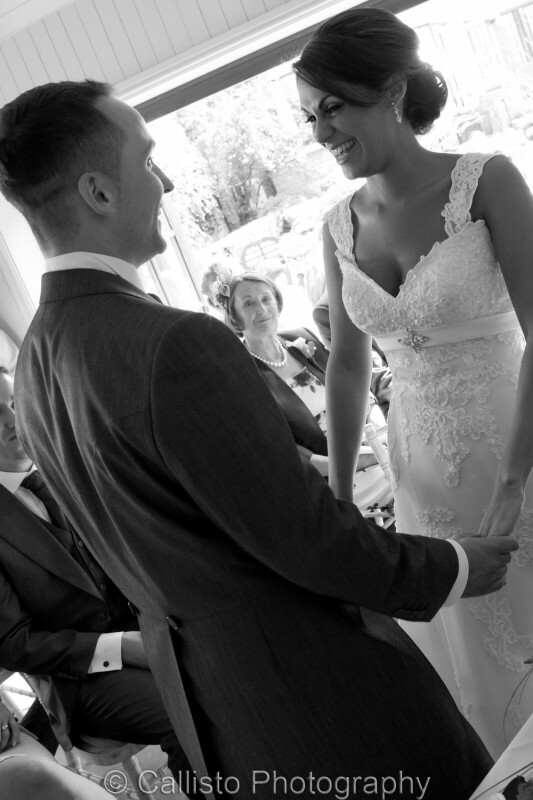 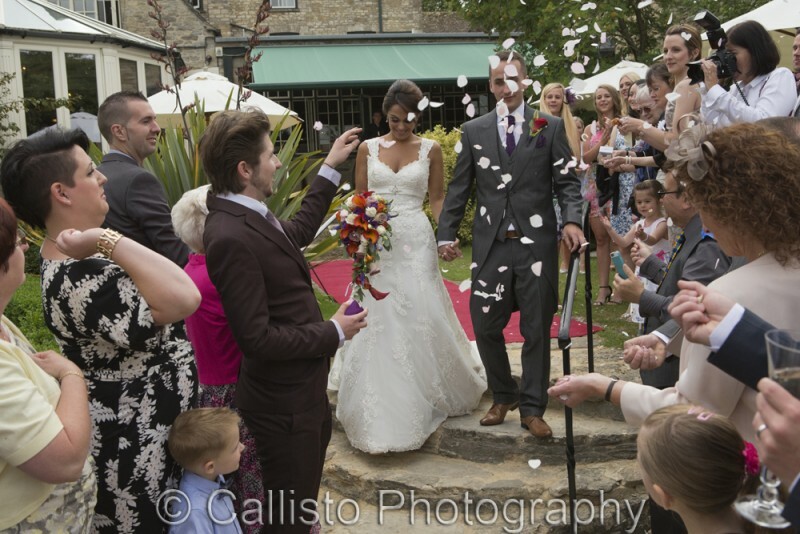 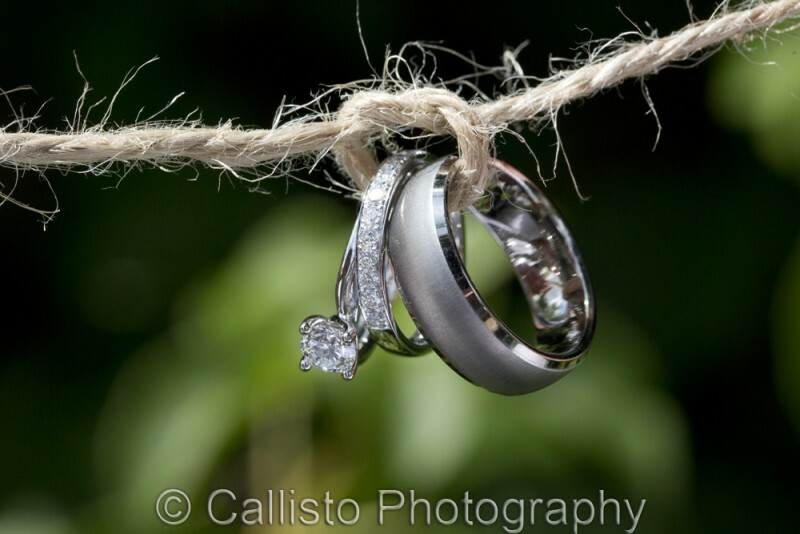 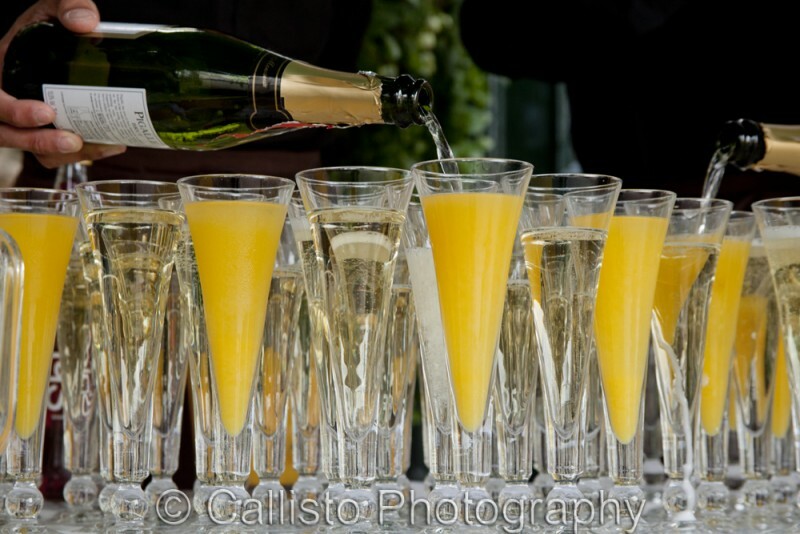 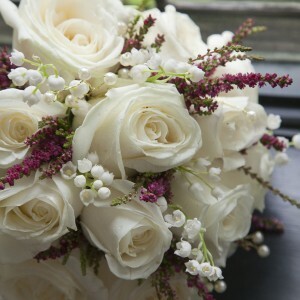 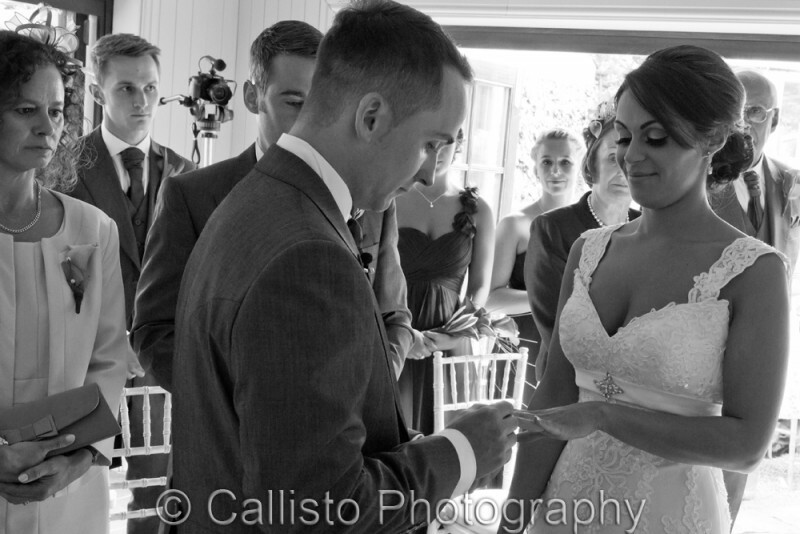 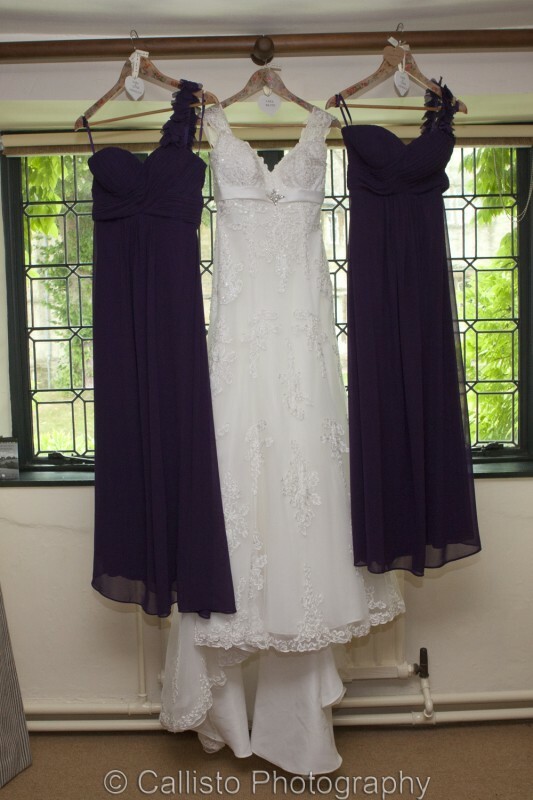 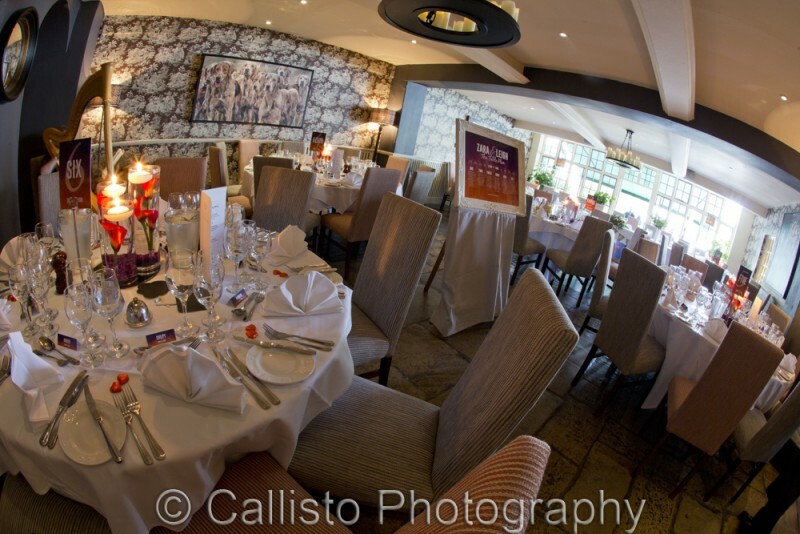 If you are celebrating your wedding at The Bay Tree Hotel, we’d love to hear from you. 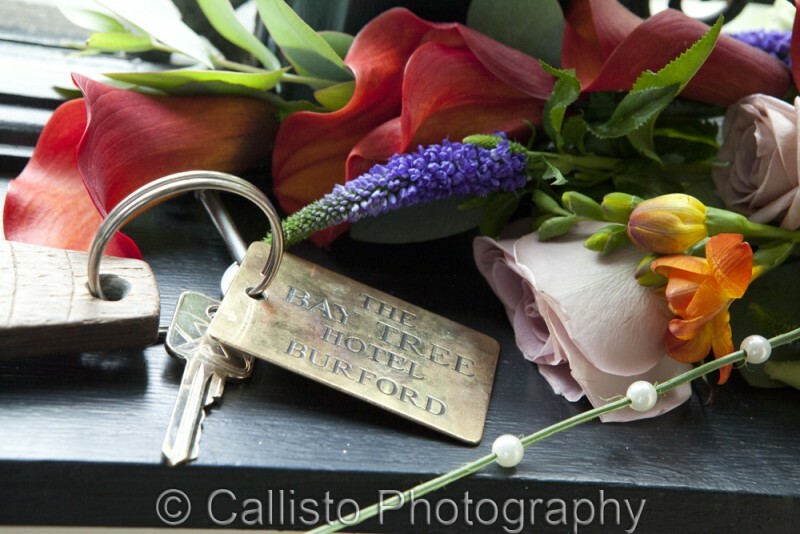 Please look at our Portfolio page to see more of our work.